Treasury Secretary Jack Lew is expected to announce this week that Alexander Hamilton's face will remain on the front of the $10 bill and a woman will replace Andrew Jackson on the face of the $20 bill, a senior government source told CNN on Saturday. 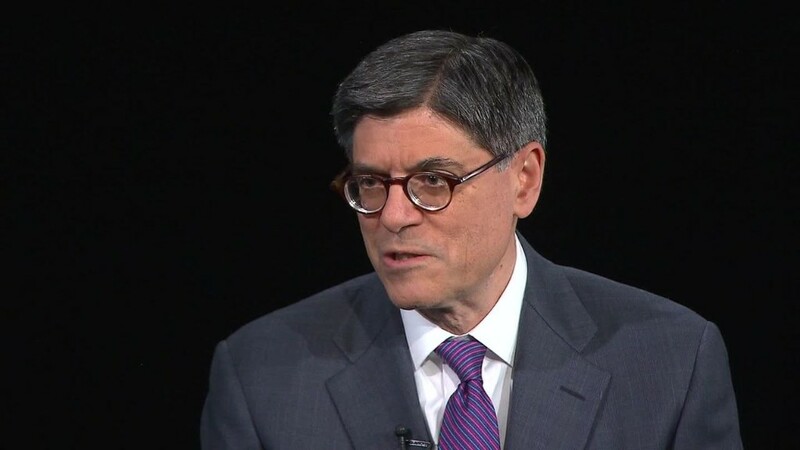 Those pressures led Lew to determine that Hamilton should remain on the front of the bill. Instead, a mural-style depiction of the women's suffrage movement -- including images of leaders such as Susan B. Anthony -- will be featured on the back of the bill. "When we started this conversation not quite a year ago, it wasn't clear to me that millions of Americans were going to weigh in with their ideas," he told CNBC. "We're not just talking about one bill. We're talking about the $5, the $10, and the $20. We're not just talking about one picture on one bill. We're talking about using the front and the back of the bill to tell an exciting set of stories." Along those lines, Lew also plans to announce this week that Andrew Jackson -- a less beloved former president whose face graces the front of the $20 bill -- will be removed in favor of a female representing the struggle for racial equality, according to the government source. That decision would place a female on one of the most widely circulated bills in the world. But the historic change placing a female on the front of the $20 note won't come for more than a decade, the source said, since the process for changing the design of that note is still in the early stages. "The soonest that a new $20 note will be issued is 2030," the source said, citing a lengthy process convened by the Advanced Counterfeit Deterrence steering committee, which includes representatives from the U.S. Secret Service, the Treasury, and the Federal Reserve. That process isn't likely to be sped up by the Federal Reserve, which issues the currency, given the work that goes into designing secure technology to thwart counterfeiters. "The blue security ribbon on the $100 note took over 15 years to develop," the source said. "This level of technology is why our counterfeiting remains at less than .01% of currency in circulation. We should not expedite the issuance of any currency for political purposes." Future Treasury Secretaries -- of which there will be several -- could reverse or alter the decision regarding the $20, making Lew's announcement far less of a clear-cut victory for the movement pushing to place a woman on American currency. Related: Where is that $10 bill with a woman on it? The $5 bill will retain Abraham Lincoln on the front, with plans to change the back to include a mural of prominent activities that have taken place at the Lincoln Memorial in Washington. "It will take a microscope to see who those individuals are, and we'll be left with another decade or more of woefully inadequate representation of women and their worth," wrote the group Women on 20s in an open letter to Lew, published by Time. "Nobody looks at the back of the bill, and that's not likely to change," the group wrote. "A vignette without a woman's portrait on the front of the bill (even if she must share with Hamilton) will be seen as a token gesture and an affront to Americans of all ages who are expecting you to reveal your choice of a singular woman based on their input. As a friend of ours put it, relegating women to the back of the bill is akin to sending them to the back of the bus. The Rosa Parks analogies are inevitable."